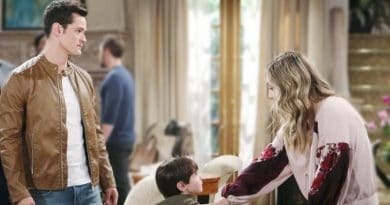 Bold and the Beautiful spoilers reveal that Thomas Forrester uses his son Douglas Forrester as a way to manipulate Hope Logan into ditching her husband. Bold and the Beautiful spoilers reveal that Thomas Forrester questions Sally Spectra about Hope Logan and Liam Spencer’s marriage. Bold and the Beautiful spoilers show Steffy Forrester and Thomas Forrester remains the same similar schemers when it comes to Hope and Liam. 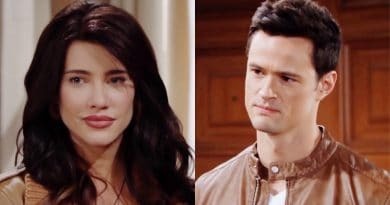 Bold and the Beautiful spoilers reveal that Thomas Forrester manipulates Hope Logan’s marriage to Liam Spencer in the future. 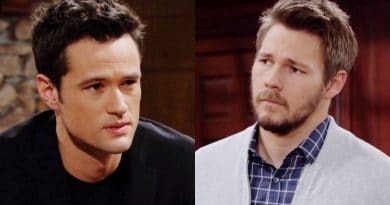 Bold and the Beautiful spoilers for the next two weeks show Liam Spencer and Thomas Forrester vie for Hope Logan but her husband doesn’t know someone’s luring his wife away. Bold and the Beautiful spoilers confirm Thomas Forrester hatches a plan to get closer to Hope Logan using Hope For the Future on B&B. Bold and the Beautiful spoilers reveal that Thomas Forrester confesses to his father Ridge Forrester how he feelings about Hope Logan on B&B. 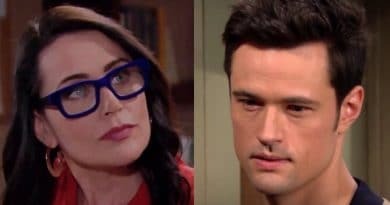 Bold and the Beautiful spoilers reveal Thomas Forrester encourages Hope Logan to send her husband oofoff to visit his daughter and ex-wife. ‘Bold and the Beautiful’ Spoilers: Liam Not Threatened By Thomas – Blindside Coming? Bold and the Beautiful spoilers explain that Ridge Forrester and Thomas Forrester reconnect now that Caroline Spencer passed on and grief heals the men. 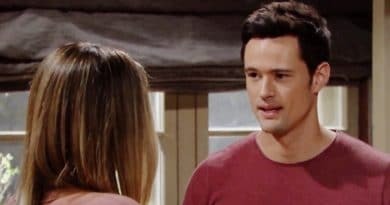 ‘Bold and the Beautiful’ Spoilers: Will Thomas Propose to Hope Again – ‘B&B’ Replays Ancient History? ‘Bold And The Beautiful’ Spoilers: Hope Justifies Turning to Thomas – Frees Liam for Steffy? ‘Bold and the Beautiful’ Spoilers: Taylor Pushes Hope to Thomas – Matchmaking Agenda Clear? Bold and the Beautiful spoilers from a new promo show Bill Spencer and Thomas Forrester taking the death of Caroline Spencer especially hard on the CBS soap.